A couple of months I posted a new game on Tasty Cupcakes that Shawn Button and I experimented with. I’ve had the chance to use it a few times since then and wanted to share the outcome of the most recent attempt. Context: A new, non-software, team was assembled from 5 different marketing departments in order to work on stuff together for 4 months. This in and of itself is an experiment because the organization isn’t sure exactly how ‘Agile in non-software’ is going to work. The immediate focus was to be able to get new products to market sooner by eliminating the hops and handoffs between groups. Team Composition: 1 ‘uber’ product owner, 3 ‘stream’ product owners, a scrum master and 5 core team members. The uber product owner is responsible for the overall portfolio and the 3 product owners are responsible for one program each within that portfolio. Part of the liftoff for this team was to play The Newlywed Game, but with different dimensions to it. what do you expect from your scrum master? 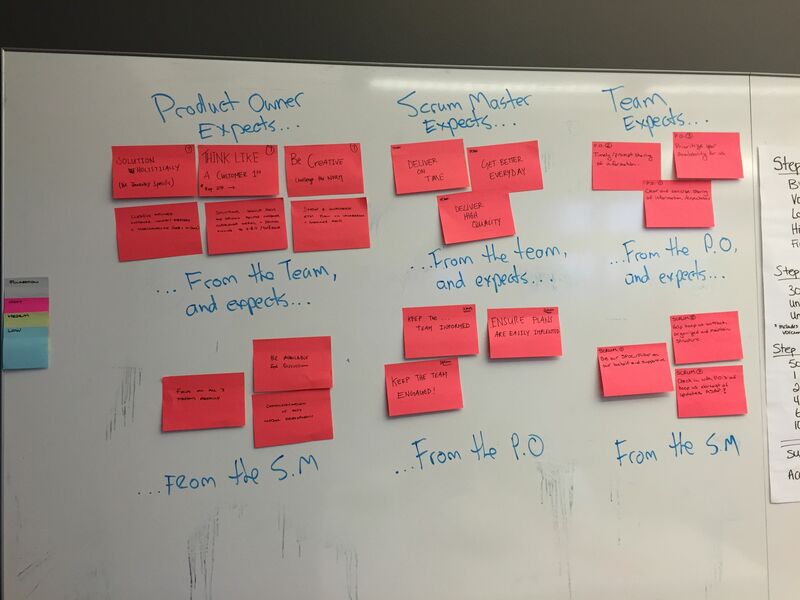 what do you expect from your product owner(s)? what do you expect from the team? what do you expect from the product owner(s)? I think you can guess what questions the product owners answered! After the discussion, we posted this on our team room wall. After the first “sprint of this sprint” is done, we’ll review it and have another discussion. Overall, it went well and I’m planning on keeping this game in my arsenal for a while.